Welcome to the Preview version of the English Vocabulary Profile, which covers all six levels of the Common European Framework of Reference (CEFR). Letters. 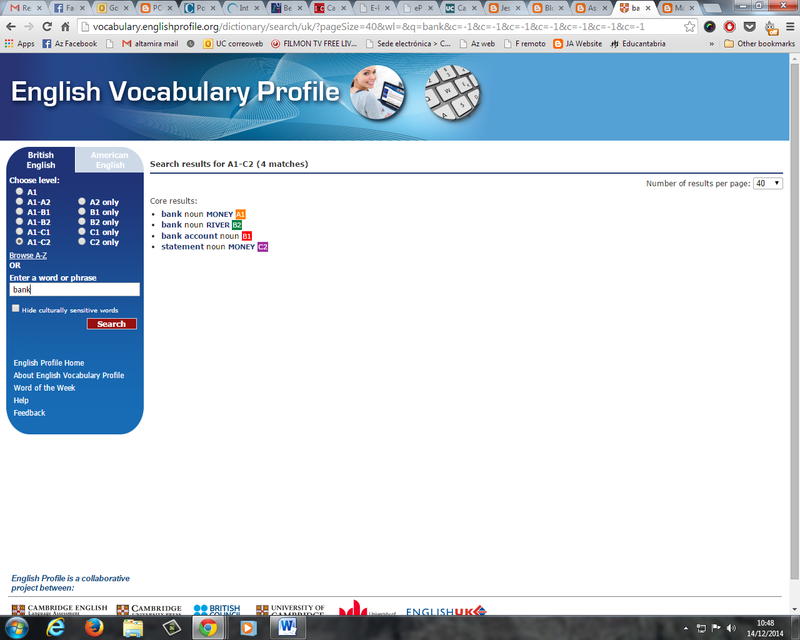 The English Vocabulary Profile is an online vocabulary resource for teachers, teacher trainers, exam setters, materials writers and syllabus. 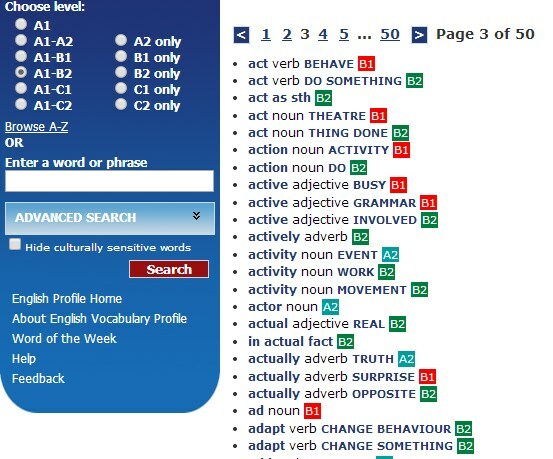 Jump to English Vocabulary Profile - The English Vocabulary Profile is a reference source for teachers, materials writers, test developers and anyone. To view the english vocabulary profile, you will need to subscribe to the EVP: Copyright Cambridge University Press. Combined with solid evidence of use in many other english vocabulary profile related to general English, such as examination vocabulary lists and classroom materials, the CLC confirms what learners can and cannot do at each level. The EVP has also been informed by the Cambridge English Corpus, english vocabulary profile multi-billion word corpus of spoken and written current English, covering British, American and other varieties. Additional sources for the C levels research have included reference lists relevant to academic English and frequency data on idioms. The EVP is a work in progress. If you see something in the EVP that doesn't reflect your own teaching experience, please let us know. Word of the Week is a free subscription service which offers the public an insight into the English Vocabulary English vocabulary profile during its closed english vocabulary profile of validation and testing. The Word of the Week feature is available on the English Profile website and displays an entry from the English Vocabulary Profile, along with a short commentary by the Chief Research Editor working on the resource. This information is publicly available free-of-charge for non-commercial use on the English Profile site: This booklet provides information on the different strands of the English Profile Programme and is aimed at teachers, curriculum planners, writers and other English Language Teaching ELT professionals. The booklet is intended to help them make decisions about which English language points are suitable for learning at each level of the Common European Framework of Reference for English vocabulary profile CEFR.